And…… our number 1 ! 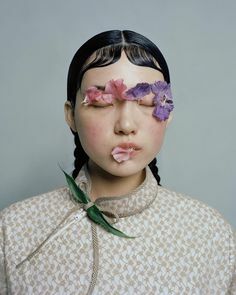 Lara Jade started her own photography career at the age of 17, originally taking on small clients in England, before becoming a fully fledged Fashion, Portrait & Advertising Photographer in New York City. Jealous yet? With quality work, came high demand, and Lara has taken it in her stride and her work has been featured in well known fashion and photography magazines worldwide.Not only is she hugely successful in the social media scene , but Lara is also currently working worldwide and is represented by leading agencies in London, Milan & the USA. If that’s not enough to inspire you yet, then you should know that she’s sponsored by Canon, Bowens Lighting, Broncolor Lighting, Lensbaby, Wacom, Datacolor, and is currently designing her own range of camera bags for US camera bag brand Naneu.